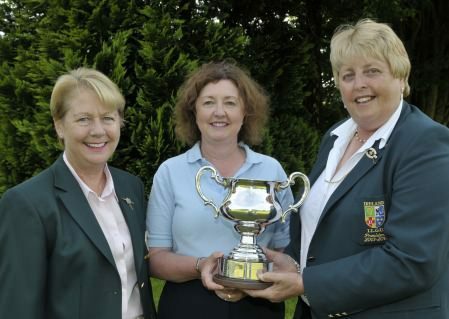 Mary McKenna (President, Irish Ladies Golf Union) presenting Suzanne Corcoran (Portumna) with the Irish Seniors Women’s Close Amateur Championship trophy after her victory at Woodenbridge Golf Club. 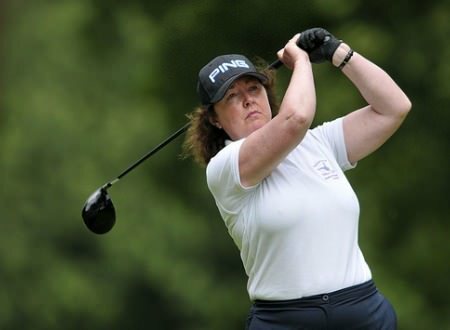 Also pictured Siobhan Saunders (Lady Captain, Woodenbridge GC). 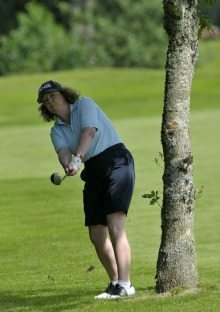 Picture by Pat CashmanPortumna’s Suzanne Corcoran defeated Laytown & Bettystown’s Carol Wickham 3 and 2 to win her first Irish Senior Women’s Close Championship at sublime Woodenbridge Golf Club in the Vale of Avoca. In glorious sunshine, Wickham seized the initiative early on and led by one hole on the sixth tee before leading qualifier Corcoran levelled matters at the next and reached the turn two up. Suzanne Corcoran with the trophy. A par at the 11th saw her increase her lead but Wickham got back to two down after twelve only to bunker her approach to the 13th to fall three down again. It was an advantage that Corcoran impressively maintained to the finish as she closed out the match on the 16th. Earlier in the day, Corcoran defeated The Island’s Gertie McMullen on the 16th green after a dramatic tussle. 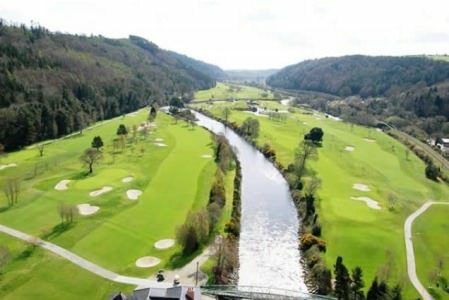 Nip and tuck to the turn, the eventual champion seized the initiative early into the back nine while in the other semi-final Wickham had a battle royale with Donabate’s Pat Doran which ended on the home green when Doran missed from twenty feet for birdie. Mary McKenna (President, Irish Ladies Golf Union) pictured with the finalists Carol Wickham (Laytown & Bettystown) and Suzanne Corcoran (Portumna) in the Irish Seniors Women’s Close Amateur Championship at Woodenbridge Golf ClubIn the Plate final Royal Belfast’s Marilyn Henderson rounded off a solid week’s work with a 3 and 2 win over Corrstown’s Ruth Maguire.